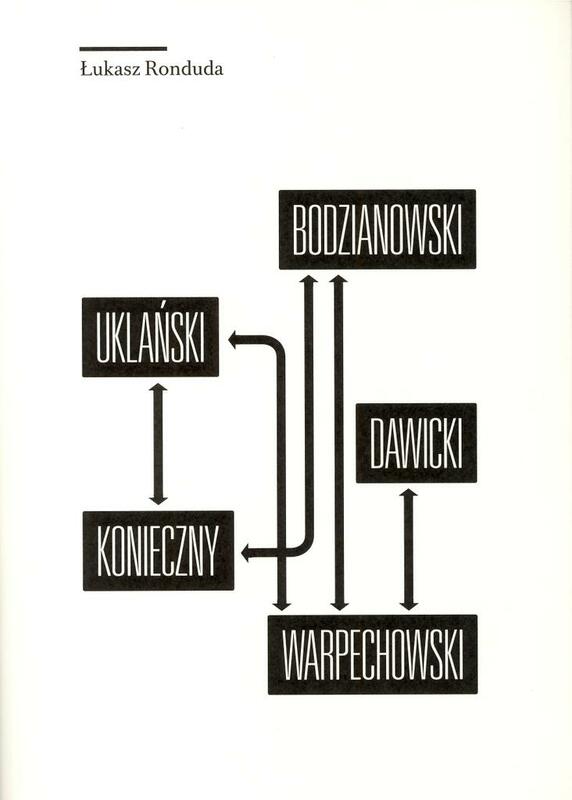 The book describes the relations between Marek Konieczny, Zbigniew Warpechowski and Piotr Uklański, Cezary Bodzianowski, as well as between Warpechowski and Oskar Dawicki. It thus constitutes an attempt at depicting a certain remarkable tradition of Polish avantgarde, stretching from artists associated with the conceptual breakthrough in the art of the 1960s and 1970s to their disciples, who define to a very large extent the shape of the contemporary artistic scene. It is highly significant a tradition, bearing major reference to conceptualism, of key importance to understanding the transitions that Polish art underwent throughout the last 40 years.